Got my bookbinding groove on last weekend and put together a diverse bunch of journals (some orders, some for the ETSY shop, and some for the shelves at Jackson’s). Last weekend I cracked open the first pack of my new paper stock, Bianco Flash. I bought a thousand A0 sheets of this luxurious paper, which means that my next 250 journals or so will be of this stock. This heavy (120 gsm), creamy, smooth paper is made in Italy by the Favini Crusallo mills…the same mill I used to buy my beloved Shiro Alga Carta paper from (Alga Carta replaced up to 30% of regular paper pulp with algae that was choking the canals of Venice…saving trees and lagoons at the same time) when I first started binding books in 1996. My Manila supplier had discontinued Alga Carta by the time I was ready to buy my next batch of papers (although Favini still produces it), so I chose Bianco Flash, instead. It’s a wonderful paper to write on. I took a juicy dip pen and strong Rouge Hematite ink (by J. Herbin of France) to it, and the ink didn’t seep into the paper…it dried sitting crisply on the surface of the paper, slightly raised, making it look like a print made from an engraving. I turned the sheet over and there was no bleeding through to the back of the paper. I could hardly see the blood red writing on the reverse. It should be good for pencils (graphite, charcoal or coloured), inks, pens, maybe even small touches of wash, though it’s not a paper for wet media. The second thing I’m excited about is Spoonflower’s cotton-linen canvas. This is the first time I’ve bought fabric from Spoonflower, though I have stalked their blog for years. I ordered some fat quarters (other people’s designs) just to check the quality of this print-on-demand fabric…whether the designs are still crisp, and what the cotton-linen canvas would be like to make cases for journals with. I have to say that I was delighted on every point. 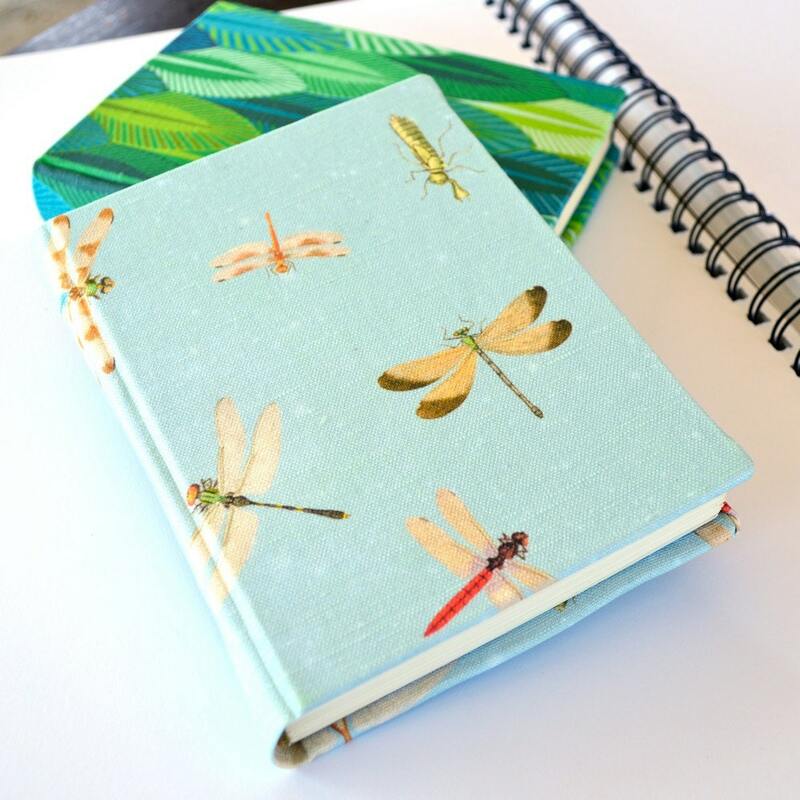 The canvas is strong and full-bodied without being difficult to turn, to mitre, or to glue; the designs were every bit as gorgeous in the cloth as they looked on the website, and the canvas texture makes the surface of the journals more rustic and lively. I had been hemming and hawing about getting my own fabric designs printed for bookbinding, but seeing these fat quarters has finally convinced me to jump in and do it. I also really like the way the Spoonflower company handles orders, the personal touch of a note from one of the staff when your order arrives, the down-to-earth language they use on their site, the fact that they try to find shipping solutions that are affordable. 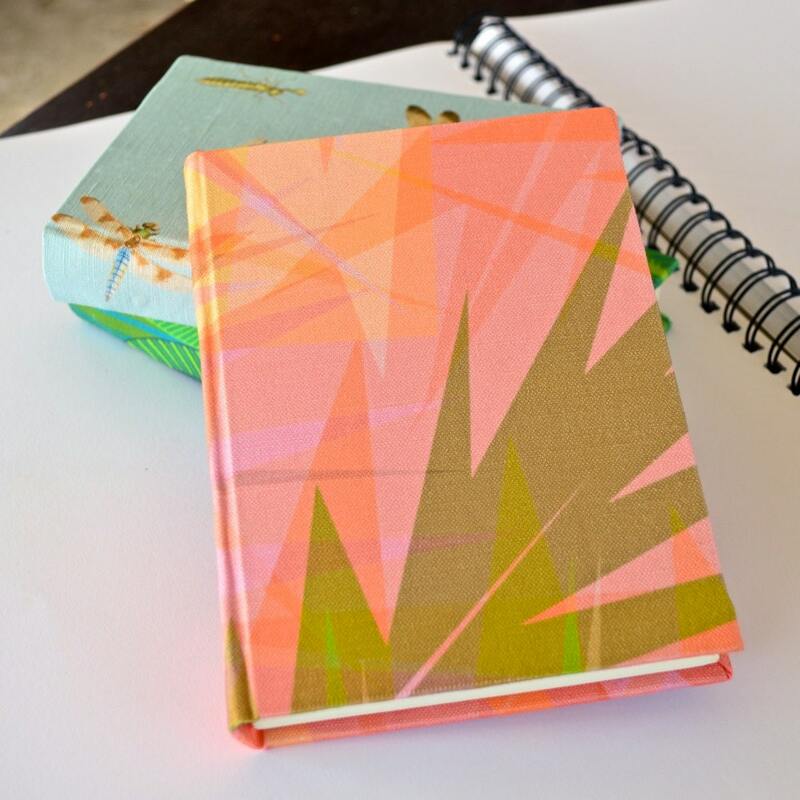 Their products are awesome, and I wish I was as adventurous as many of their regular designers, who seem to churn designs out by the dozens each week, for everything from gift wrap and stickers to fabrics and wallpaper. Maybe it’ a confidence that grows with use, and I’ll get the knack of it when I’ve uploaded a few designs and printed fabrics of my own. 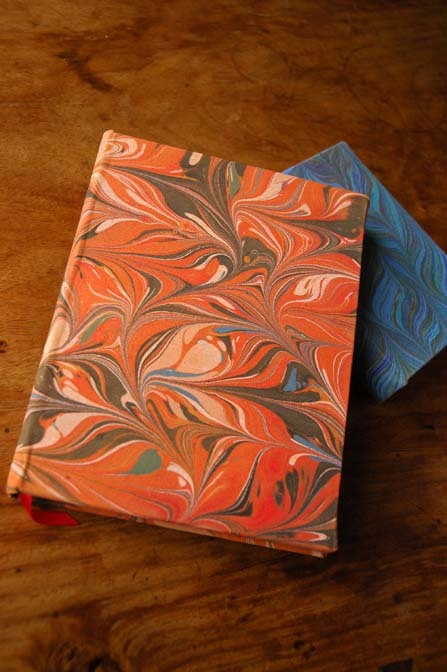 So, I was curious if you have a good do it yourself sort of link for book binding you could point me toward? Love these journals and thanks! That sounds perfect! I love any kind of crafting, but I’ve never really ventured into this and I can’t wait! These are simply gorgeous! I would love them all to write in! I have not yet purchased anything from Spoonflower, but I am close to doing so. I want to make small little pillows for our chairs of our dogs and use Spoonflower to print out their photo’s onto fabric. I think they would look awesome sitting on a chair or on the bed. They would definitely make some awesome Christmas presents too! The fabric you picked out is simply divine! LOL, dogs tearing up a cushion, now what dog would do that? I even thought that if and when I get around to making these little pillows, that I would also make a little red fire hydrant to sit next to them on the couch. That would look awesome. I was going to ask you that same question, about store bought material and what you thought about that, but you already answered that question. You just amaze me on what you come up with – – you are one talented person for sure! Thank you, again, though I assure you I am very ordinary, just think things over a lot, I guess. Isn’t that what dogs do? 😉 I honestly wouldn’t know, I’ve always been a cat person. I love the fire hydrant idea…with or without the dog cushion! You should try creating your own designs with marbling, you can use about the same color pallets you do now, but it’s just incredibly fun and adds an extra personal touch to the designs! Hey, thanks for taking the time to visit and comment! Hey Tabby, nice to meet you! 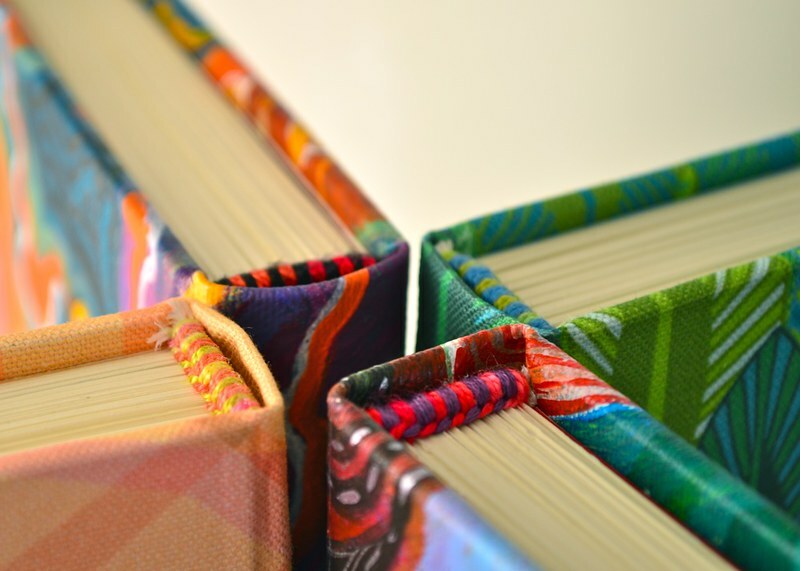 I have to ask you: What’s the bookbinding scene in Mexico like? I have been very curious about the art scene in general. Starting next year my husband and I are going to spend 5 years exploring Brazil, Central America, and the West Indies. 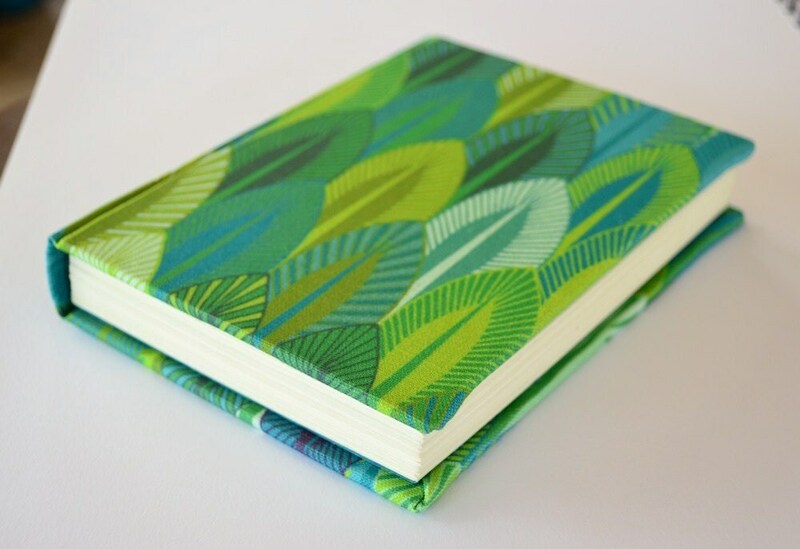 I wonder if there is a way for me to share or teach my bookbinding skills when I am there? Or maybe it is a widespread practice and they don’t need to learn anything more… What do you think? Ah, Hanna, thank you…but you also make some wonderful handmade books, yourself, so you don’t need my stuff! And a stash of beautiful books is always a good thing, no matter how they were made. Do you do any prep to the fabric to turn it into bookcloth? I learned (so long ago I’ve forgotten how) to use wheat glue to paste a certain kind of paper to the back of the fabric and letting it dry against plexi-glass before using it as book cloth. It seems from this post that you don’t bother with that step- and they obviously turned out beautifully. Thank you for the stopping by to comment! I find that I only have to do that when the fabric is thin…quilting cottons and fine silks, for example. I do it mainly to keep the glue from seeping through to the front of the fabric, which is most likely to happen when turning the corners. I also find it useful for providing a smooth, whiter buffer between the fabric and board when I think the darkness or the roughness of the board might show through such thin fabric. When the fabric is of medium to heavy weight, like these linen-cotton canvas pieces, I don’t really bother, as the glue can’t get through and the fabric has enough body, on its own, to give the cover a smooth finish. But that’s just me. It seems to work fine, some of my books are 20 years old, now, and still looking good. Thanks so much! that’s really helpful feedback. I have some thicker cloth that I could try directly gluing with. Keep up the good work! You’re so welcome! It helps to spread the glue/paste onto the boards, rather than onto the fabric (which pushes the adhesive through the weave). That’s a good tip, too! I’m excited to try it! I have yards and yards of a red cotton canvas that would be perfect! Ooh, Spoonflower! I’ve always wanted to order from them. How long did the shipping take, Nat? Ninay, sandali lang yung shipping, mga 7-10 days. Kaso, mahal ng fabric, no? Compared to SouthEast Asian prices for a yard, I mean. Even here, their prices are about double what you’d pay in a shop. Yug advantage lang talaga niya is the ability to design your own, for specific needs. In the case of the journals, kaunti lang ang nagagamit, mga $4 bawat libro, okey lang…I wouldn’t buy it to make clothes with, though, sobrang mahal! 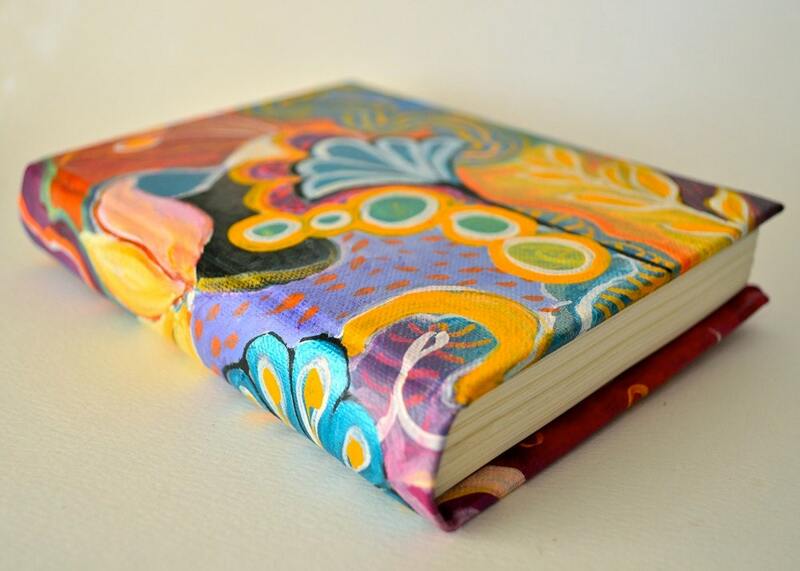 Ah, you can make your own journals, what’re you mooning about? 😉 And that was before even I taught you anything. Gawa ka uliiiiit!